Featuring the AIDA Servo Press Drive technology that revolutionized the metalforming industry Imagine being able to dial-in the stroke, velocity and dwell profile for any job . . . blanking, drawing, high precision, exotic materials . . . all on one press. 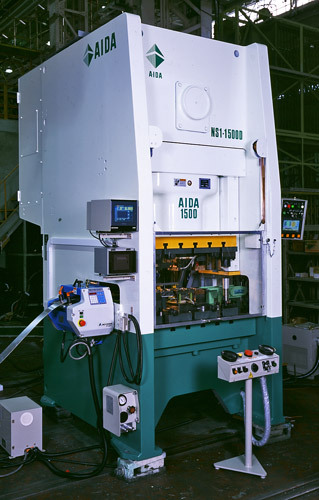 With AIDA DSF Servo Press technology, you can have each press you own performing like multiple presses . . . an enormous competitive advantage for you. 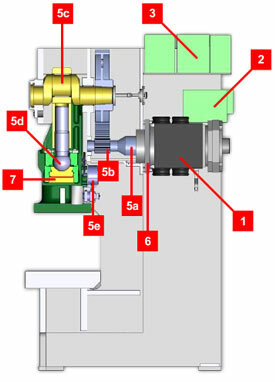 Plus, with AIDA's exclusive high torque servo motor, you get the same torque characteristics and power consumption as mechanical presses, without a flywheel and clutch. Better performance. Less maintenance. Only from AIDA.